NEW YORK - Jon Lieber squawked when the Phillies pushed him into the bullpen to fill an unspecified void. John Smoltz doesn't blame him. "I wouldn't have gone to the bullpen for anything other than the closer's role. I would have said, 'I'm sorry.' That's just me," Smoltz said. Smoltz probably guaranteed himself a Hall of Fame plaque when, at 34, he switched from starter to closer in 2001 after elbow surgery and saved 154 games over the next four seasons. He returned to the Braves' rotation in 2005 and again is the team's No. 1 starter. 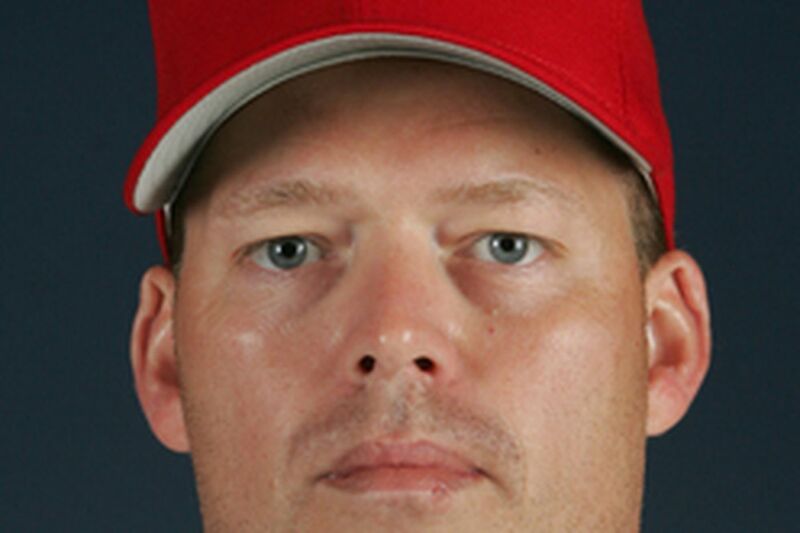 Lieber, 37, was the Phillies' No. 1 starter the previous two seasons before the club remade the rotation and failed to trade him. Former teammate Billy Wagner, now the Mets' closer, believes Lieber can do whatever he wants. "I'd like to have him over here. He's got the stuff to be in the bullpen. It's all in how you use him," Wagner said. "If you wear him out . . . he's not going to be used to the up and downs." The Phillies decided that Lieber, a strike-thrower who needs relatively little warmup time, was best suited among their six starters to move, but they remain cautious with him. Closers usually have plenty of warning before they enter, and the Phillies lack a backup to Tom Gordon. Could Lieber close? "Could be. That goes back to your makeup," Wagner said. "Some guys can go in there and do it on an interim basis. Some guys can't." No one really knows what Lieber can and cannot do. "This one is surprising to me. To me, he's a top-notch starter," Smoltz said. "It'll be interesting to see how he does in his role - whatever role it is. He's not going back to a closer's role. It's a lot different when you don't have a structured role." Lieber was pleased to hear the compliments, "Especially guys like Billy and Smoltz," he said. "If they think I can do pretty good at it, I'll take that to heart. It means a lot." Lieber's role remains undetermined. He entered yesterday's game in a tight spot: Bases loaded, one out, eighth inning, the Phillies having just turned a 5-4 lead into a 6-5 deficit, the Mets' Carlos Beltran up to bat. Beltran flied out to shallow center; aged Julio Franco was on third, and he tagged and scored after tracking Aaron Rowand's ineffective throw. Lieber then allowed a walk, a two-run double and a two-run single. "I'm frustrated. [Peeved]," Lieber said. At his performance? "[Shucks], yeah." Even though righthander Francisco Rosario sat in front of his locker inside the visitor's clubhouse at Shea Stadium yesterday morning nervously twiddling with his fingers, he insists he is calm. At least compared with years past. The Phillies acquired Rosario from Toronto on Thursday with hopes of bolstering their bullpen. He joined the team yesterday, and brought shaky credentials. Last season, Rosario was 1-2 with a 6.65 ERA in 17 games with the Blue Jays - and allowed 16 walks. However, Phillies general manager Pat Gillick said he liked Rosario's arm and was impressed with the way he had improved from last season to this spring, when he posted a 3.00 earned run average through eight games, striking out nine and walking six in nine innings. "It's a new year, a new team and a good chance for me to start over again," said Rosario, 26. He made a mechanical change this spring, keeping his left shoulder closed, a fix he can make during an outing, he said. The Phillies noticed, sniffed around a trade for a month, then pounced when the Jays designated him for assignment, buying his rights for $100,000. Rosario knew of the Phillies' interest. He ignored it - though, now, he appreciates it. "Right now all I can do is come and do the best I can while being a good teammate and hopefully help this club get some wins," Rosario said. Young catcher Carlos Ruiz raised some eyebrows when he swung at first pitches in key situations Thursday and Sunday when patience might have been a bit more virtuous. Manager Charlie Manuel backed Ruiz by saying Ruiz was right to swing at first-pitch fastballs. Ruiz appreciated the support. "I don't want to have to hit a breaking ball. I don't want to get two strikes and have to hit with two strikes," Ruiz said. "If I get a fastball in my zone, I'm going to swing at it. I just missed." Ruiz, now hitting .318, appears to have won the starting spot from Rod Barajas, who is 0-for-8.